Halloween 2008 is on Friday October 31st. Balloon Planet has now posted nine Halloween bouquets which include five popular large Halloween mylar shapes. 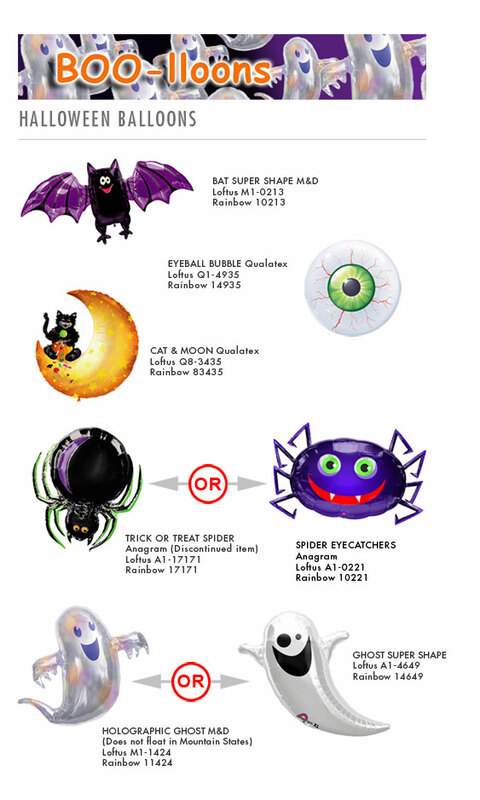 The attached image shows required Halloween inventory for Balloon Planet partners. Wholesale pricing can be found in the partner online Inventory Guide.